Les Halles de Lyon – Paul Bocuse. Lyon’s mythic indoor food market with an international reputation for offering the very finest gourmet food. 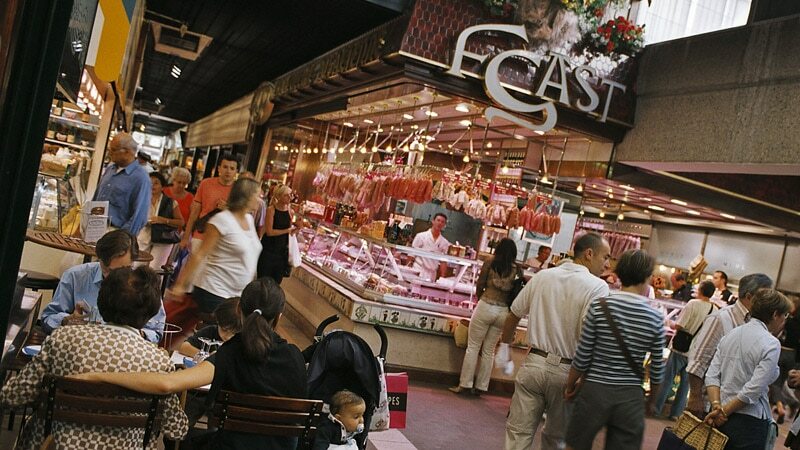 Les Halles de Lyon – Paul Bocuse is one of the reasons that Lyon is dubbed France’s capital of gastronomy. An incredible variety of the finest quality food all assembled under one roof. It was in 1859 that Lyon opened its first indoor food market in a large metallic structure located at Place Cordeliers in the centre of the city known as the “Presqu’ile”. One hundred years later the city decided to build a new indoor market representative of it’s commitment to gastronomy. In 1971, Les Halles was opened in the neighbourhood of La Part-Dieu close to Lyon’s main train station. Extensive renovations took place in 2004 resulting in the now 13,000 square metres of food vendors over 3 floors. The final touch was undoubtedly master chef Paul Bocuse adding his name to the title of the market and securing its reputation as one of the finest places for food anywhere. There are 48 vendors representing a vast diversity of produce. There are butchers Trolliet and Giroud/Perrier, the bakeries of Jocteur, Maison Victoire and Maison Claude, fishmongers Maison Pupier and Joanny Durand, cakes and chocolates from Délices des Sens, Chocolats Richarts and Maison Sève, wines and spirits by Fac & Spera and cheesemongers Fromagerie Mons, Mère Richard and Beillevaire. 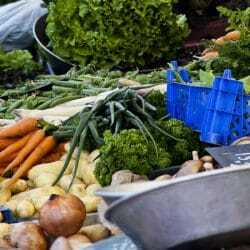 There are fruits and vegetables, dried meats, poultry, truffles, spices, flowers and more. There are also several bars and restaurants including Chez Léon, Chez Les Gones and Le Fer à Cheval. Les Halles is a remarkable indoor food market offering the very finest produce available anywhere. The several bars and restaurants make this an ideal location to sample Lyon’s gastronomical delights and it’s as well suited for a family visit or a romantic evening. Enjoy lunch in one of the terrific little restaurants in this wonderland of gourmet food. Tuesday through Saturday Les Halles opens at 7am and while the food vendors close at 7pm, the bars and restaurants stay open until 10:30pm. On Sundays everything opens at 7am and the vendors close at 1pm. The restaurants stay open until 4:30pm. Note: Les Halles is open on Mondays for oysters only. Les Halles is located a short 5 minute walk from the Part-Dieu train station at the intersection of streets Garibaldi, Lafayette and Bonnel. You can also takes buses C3 and C9 and the nearest metro station is Place Guichard. By tram use line T1 and stop at Mairie du 3eme. There is a car park which can be accessed from Rue Garibaldi. Slightly smaller during the week, the food market of St Antoine is reaching full capacity on weekends. 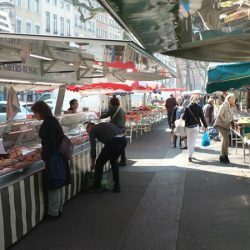 This is one of Lyon’s most popular outdoor markets. La Croix Rousse market which is one of the busiest markets in Lyon lines the Boulevard de la Croix Rousse which is a part of Lyon’s UNESCO world heritage site. sit sed id amet, Nullam ante. libero porta.